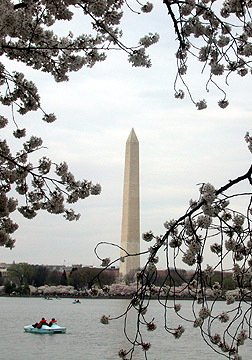 The Washington Monument, 3 April 2004, surrounded by cherry blossoms. We crept up 14th Street in drizzle, away from Pennsylvania Avenue security. 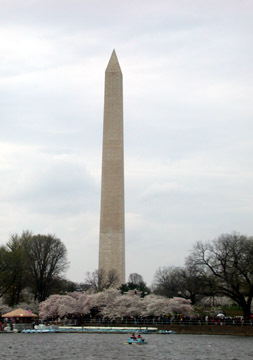 Walked across the Mall from Natural History to the Tidal Basin and the Jefferson and FDR Memorials. By the time we reached the festival stage, the sun had come out. 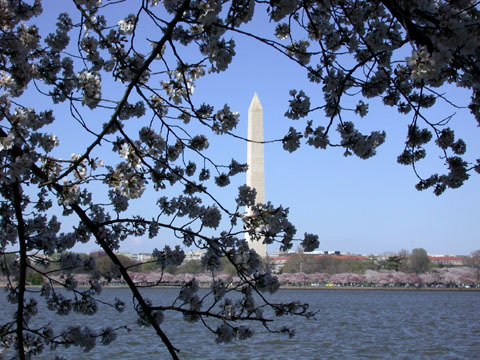 From the far side of the Tidal Basin. 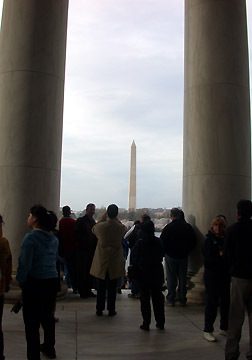 Between Jefferson's pillars. 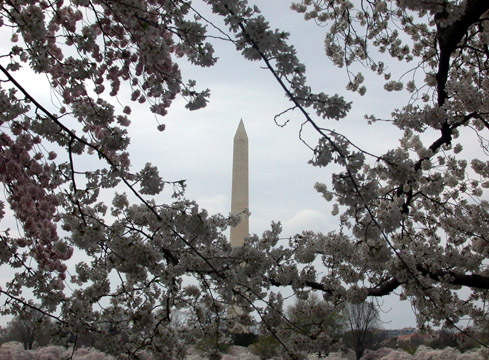 Another view through the blossoms. From the steps of the Jefferson. 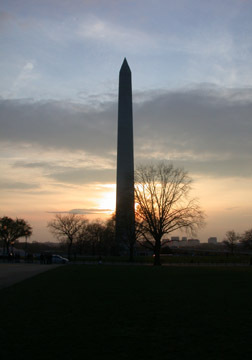 And from the Mall at sunset. 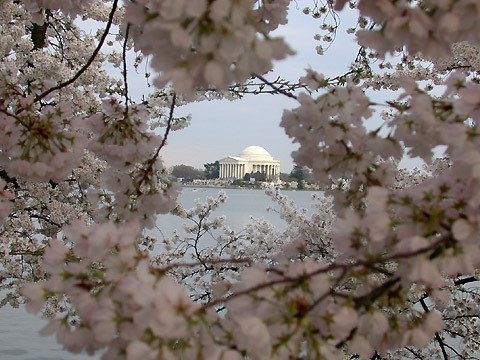 The Jefferson Memorial in a circle of flowers. 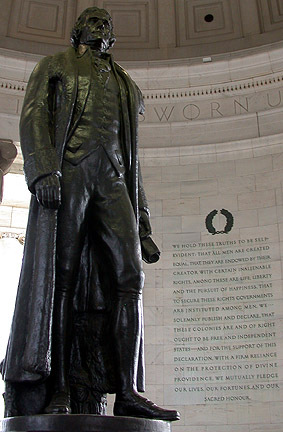 Dancers on the stage in front of the Jefferson Memorial. My favorite of the early presidents and my favorite of his writings. 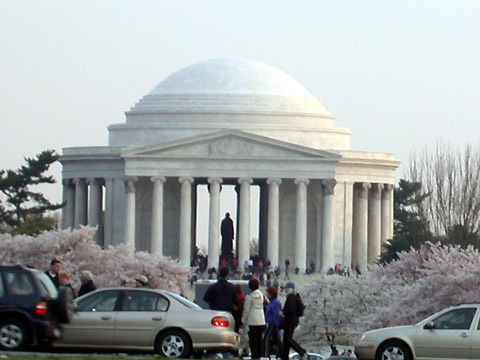 One more view of Jefferson, late in the day from across Independence Avenue. 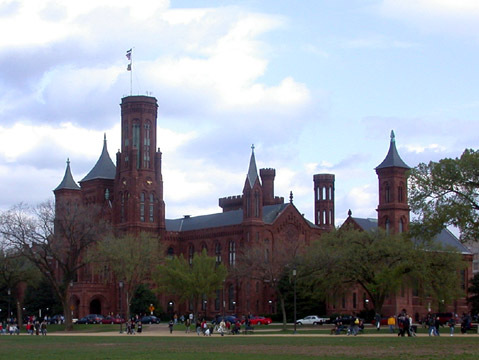 The old Smithsonian, known as The Castle. 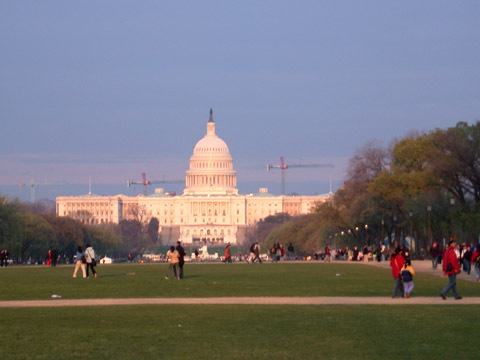 The color in this photo is untouched; this is how the light was hitting the Capitol as the sun was moving behind the Washington Monument in the late afternoon. 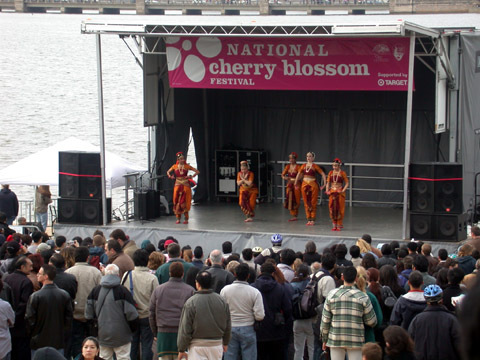 Click for photos of the 2005 Cherry Blossom Festival.